24 hours a day, internet users have access to your shop, on which they can reserve and rent an article or a service, or buy it. The internet user enters its details, which gets automatically added to the database. This prevents double bookings. Master your products' availability. Tell your clients what's available and when. Once the product is found, the client reserves it and checks it out, paying directly on the web, using an EV SSL secured payment method. YourShop does the whole rental reservation! You just need to prepare the products to be ready for pick-up. 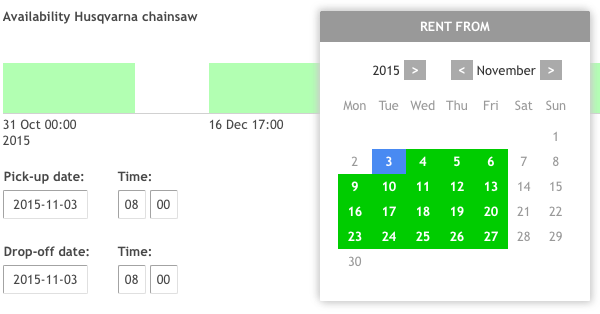 YourShop lets you count the rental price in minutes, hours, days or weeks. Additionally, the price can be rounded off to the next hour, day or week. 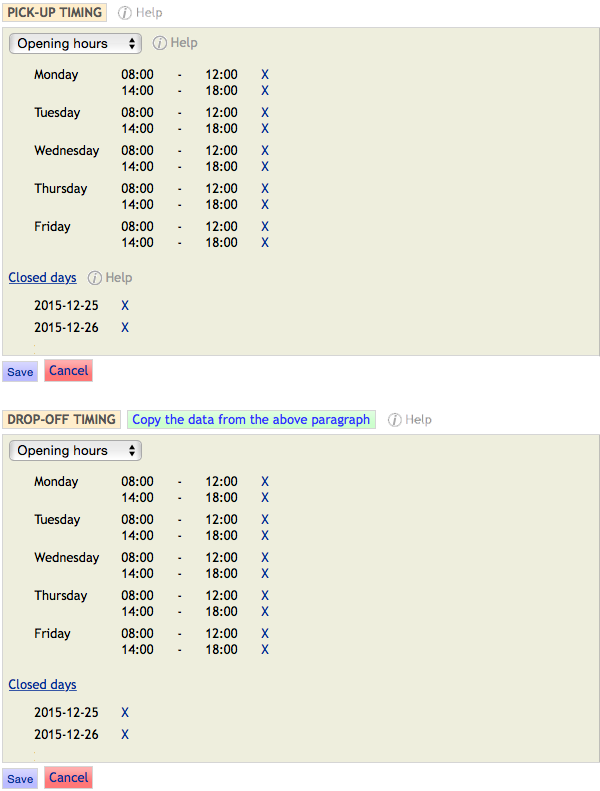 You can precisely configure the rental pick-up & drop-off timings and define public holidays, company vacations, and other closed days. The ability to postpone the start of the rental helps in preparing the rental's products. 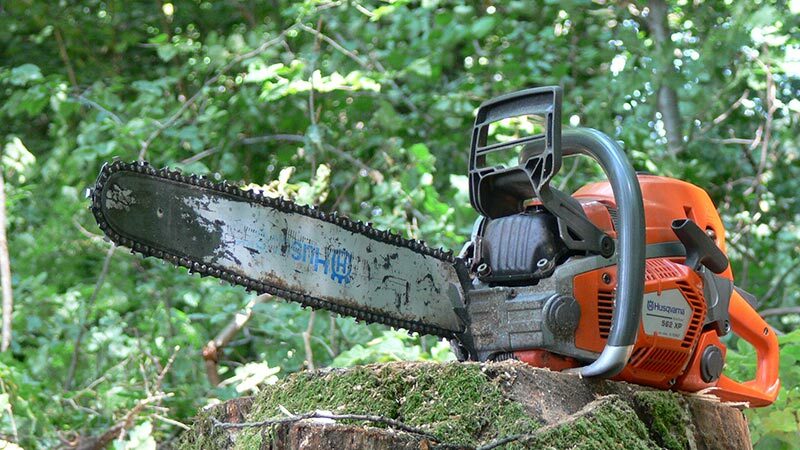 You can optimise the rental profitability by imposing a minimum and maximum rental period. YourShop manages the quarantine. I.e. the amount of time needed to prepare a product, following drop-off, to be ready for the next pick-up. If you ask for a deposit, you have several ways to require it, among them is PayPal. Encourage your clients to rent your products by showing the product availability graph on the product and view cart page. This video shows you how to set up and manage your rental store. 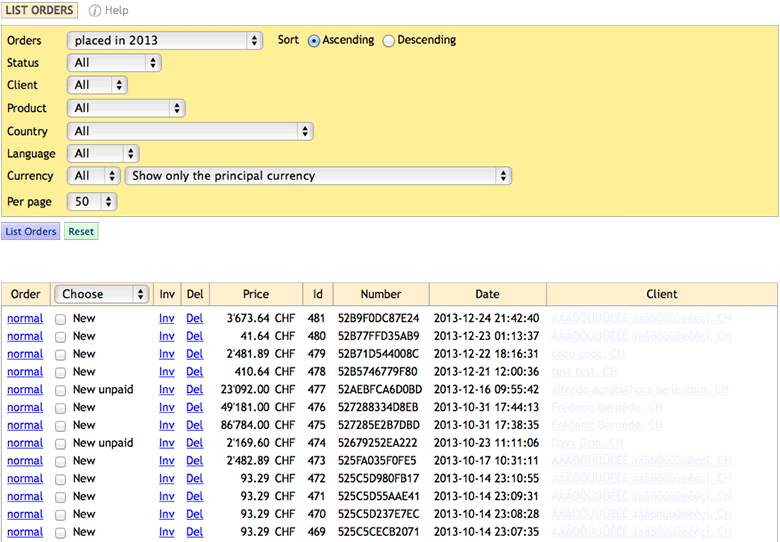 Access instantly the detailed rental order history. This is an easy way to follow the rental activity, and you profit from real time product stock update.